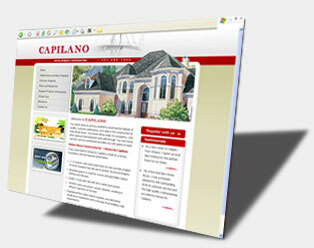 Capilano DC is a real estate web site that has virtual tours, web site admin back end (customized for shareholder news) PDF blueprint layouts and web site development information for this real estate company. Does your site need 3D virtual tours, or any other type of web site animation? 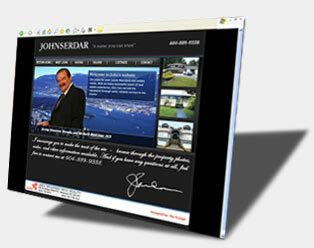 Please request a custom web design quote for your real estate website today! For this real estate company located in Vancouver British Columbia, we created a flash based web site that is very professional and to the point, with Canadian MLS listings and videos of John Serdar. The flash was a medium level animated banner in a real estate theme. Make sure you go request a free quote for your design project today, if you have any questions on pricing. Here at Frynge.com we will create a professional Custom Web Site design to your specifications, quickly, efficiently and with search engine advertising in mind. Please feel free to request a quote from us or look at more of our custom design portfolio. OR submit a trouble ticket for support.